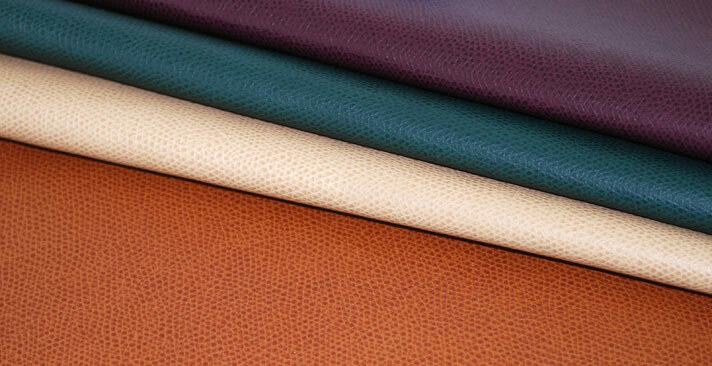 This is a fabric or finish intended to substitute for leather in fields such as upholstery, clothing, and fabrics, and other uses where a leather-like finish is required but the actual material is cost-prohibitive, unsuitable, or unusable for ethical reasons. Add a touch of luxury to your yarncrafting with the rich, velvety texture of Chenille. Available in both classic solids and multicolors, this bulky-weight yarn works up quickly into plush afghans and cozy accessories. 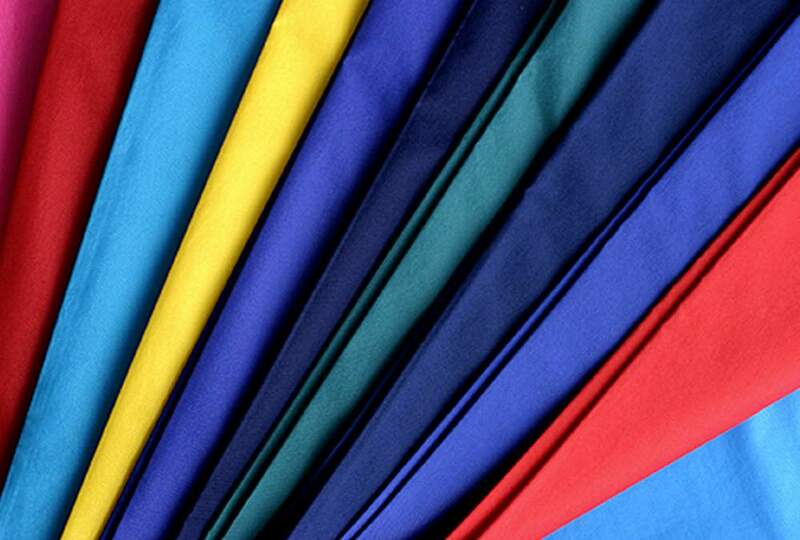 The fabric is multifunctional: it is used in fashion, interior decorating, automotive and other vehicle upholstery, and industrial applications, such as protective fabric for electronic equipment. It is also a very popular fabric in the manufacture of footbags (also known as hacky sacks). 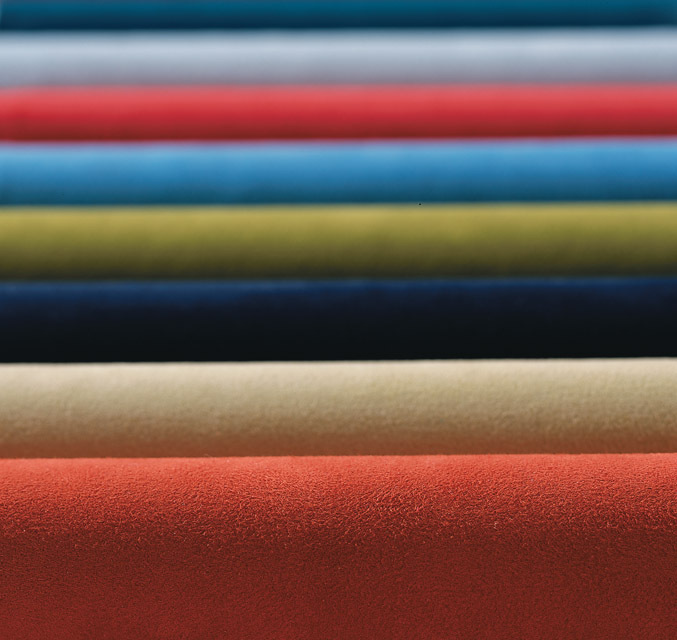 Other manufacturers such as Sensuede and Majilite also produce similar product lines of synthetic microfiber suede construction. 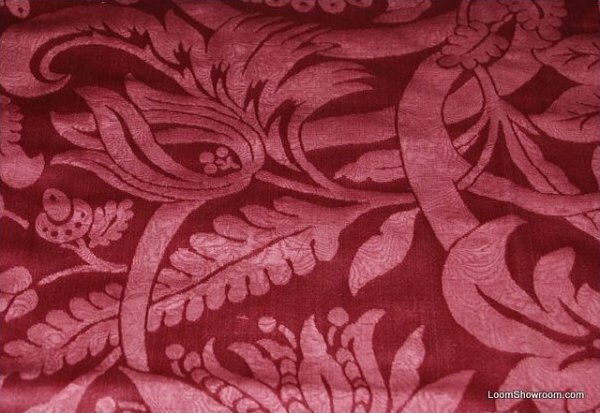 Super Saloon is a plush, knitted fabric or textile similar to velvet. It is usually made from cotton but can also be made from synthetic materials such as polyester. 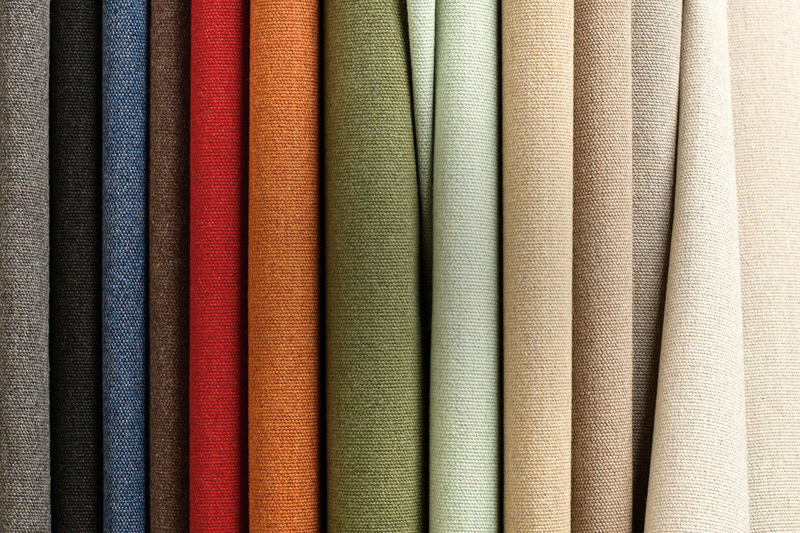 Super Saloon is used in a wide variety of applications, including clothing and upholstery. Other examples include car seats. Super Saloon can also refer to a rough natural leather sometimes called velour leather. Chrome tanned leather is ground from the inside, which forms a delicate, soft layer on the surface. It is used for footwear, and upholstery. Choose the right material to outfit your flooring in your boat.Choice will depend primarily on aesthetics. Natural teak offers warmth and represents tradition. However, the complexities of laying a teak deck usually require a synthetic deck. The deck of a metal boat should be laid over an air cushion, if possible, to avoid deterioration due to water collecting beneath it. Do-it-yourselfers can readily handle the installation of a synthetic deck by following the manufacturer’s recommendations and using good quality glue. A tarpaulin (/tɑrˈpɔːlɪn/), or tarp, is a large sheet of strong, flexible, water-resistant or waterproof material, often cloth such as canvas or polyester coated with urethane, or made of plastics such as polyethylene. In some places such as Australia, and in military slang, a tarp may be known as a hootch. Tarpaulins often have reinforced grommets at the corners and along the sides to form attachment points for rope, allowing them to be tied down or suspended. Nylon is a generic designation for a family of synthetic polymers, more specifically aliphatic or semi-aromatic polyamides. They can be melt processed into fibres, films or shapes. A highly elegant faux leather fabric pattern, with the rich texture of faux leather. Used for hospitality, marine, RV, outdoor, automotive upholstery. Wholesale furniture upholstery supplies, shop online for furniture upholstery supplies and parts including springs, and furniture clips. … Also offered are replacement chair swivels, rocker springs and a swivel rocker with legs. We carry these Upholstery springs, both coil springs as well as no-sag springs and the needed BW, EK clips from Legget and Platt.